Getting the best 308 rifle is a great addition to any gun collection. For many different reasons, .308 is one of the most popular rifle cartridges. The projectile is very heavy, travels at extremely high rates of speed, and creates deep penetration. As a result, this cartridge is deadly and does well at long distances. The thing is, .308 rifles run the gamut of all weapons and can fill many roles. From classic bolt-action hunting rifles through modern sporting and tactical rifles, there are hundreds of different .308 rifles available. In this list of the best .308 rifles, we attempt to touch on each type and give you a basic introduction to each. However, before we get into this list, we will go over the basic types of rifles that are available and discuss their potential uses. As the name might imply, these rifles are manually operated. The shooter loads the next round by pulling back the bolt and then pushing it forward to chamber the round. It is an older technology but is reliable. Bolt action rifles are common for hunting and general shooting. As far as tactical purposes, they are used as sniper rifles in the military. These rifles use gas blowback systems to chamber the next round. The most common semiautomatic rifles are AR frame weapons. However, there are many others. They are widely applicable. Classic weapons, such as the M14, have been modernized and are available in .308. There could be a few more specific divisions, such as tactical rifles and precision rifles for competition grade shooting, but these three more or less encompass all of them. Each type will be touched on in our list of 308 rifle reviews next. 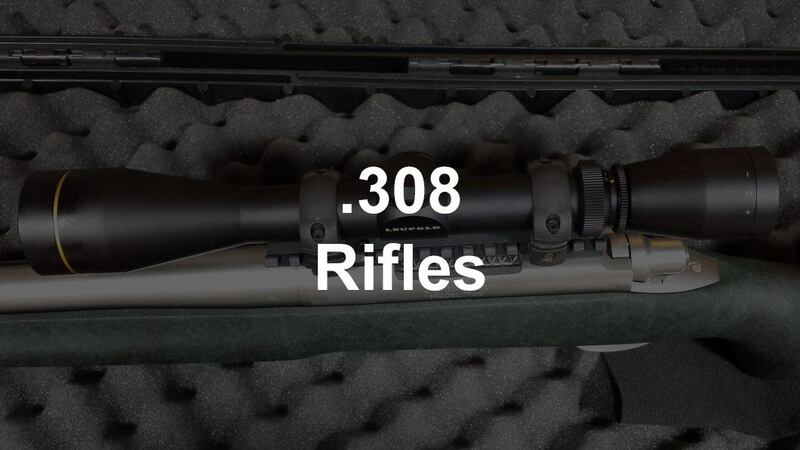 If you are more interested in the tactical side, check out our list for 308 battle rifles. First up is the Remington Model 700. The Remington 700 has been around for five decades and is one of the most common rifles in America. To this day, it is still one of the absolute best 308 bolt action rifles. There are multiple versions available. All of them are based on the classic bolt action frame. From classic walnut stock weapons to modernized tactical black synthetic weapons, there is a Model 700 available. The prices vary significantly among the versions, but overall, it is a reasonably priced weapon. Most of them have a 24-inch barrel, weigh 7 pounds, and have a 4-round capacity. The biggest pros are its strength, reliability, and accuracy. The strength comes largely from the receiver and its three steel rings. The accuracy comes from the hammer forged barrel. Reliability is a feature of most bolt action rifles, but the Remington Model 700 is particularly reliable. This weapon would be excellent for hunting, competition, casual shooting, and even tactical uses. I recommend it as a fantastic 308 hunting rifle. A variation of this weapon is used by snipers in the military. The Browning BAR MK 3 DBM is a semiautomatic rifle with a detachable box magazine and a completely black finish. Similar to the Model 700, many different versions are available with different styling. However, not all of them are available in .308. The semiautomatic gas blowback system allows you to shoot this weapon faster than a bolt action weapon. The detachable box magazine gives you a higher magazine capacity. Another pro of this weapon is that it weighs less than the Model 700 at just under 7 pounds. The cons of this weapon include that fact that it is more expensive than the Model 700. Also, it is somewhat less reliable due to the fact that it is semiautomatic. Further, some would argue that the shorter barrel affects this weapon's accuracy at a distance. However, rest assured, this is a very high-quality, accurate weapon that fits any role similar to the Model 700. The AR-15 is the rifle of the modern day. This AR-10 from Smith & Wesson is a beefed-up AR-15. It functions the exact same. This specific AR-10 is a barebones model. One of the biggest perks of the AR frame weapons is their ability to be customized. There are literally thousands of aftermarket parts, both internal and external, to customize this rifle to meet your needs. This weapon comes with everything you might expect from a rifle built on the AR frame. It has a forward assist, a dust cover, and a picatinny rail system for mounting optics and other accessories. It also includes all of the internal features that have made AR-15s and AR-10s so popular and reliable. The biggest con of this weapon is that it is pretty expensive. As far as application goes, this weapon could be used in multiple ways. 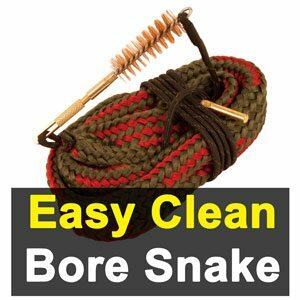 It is definitely great for shooting competitions and general shooting but also could be used for hunting. Using AR frame weapons as hunting rifles is just starting to catch on with the general public too. Up next is the modernized M14. For any history nuts or gun collectors, this is an awesome piece of history to own. AR-15s have become popular due to their uses in the military. Likewise, the M1A gained popularity also because of its military use. While the classic wood stock look is still available, numerous modernized tactical versions are available. They come preloaded with rail systems, adjustable stocks, and many other features that are common in AR-15s. Do not let the fact that this is based off a classic weapon fool you. The M1A is an absolutely awesome weapon system. The different models can be selected to meet your specific needs, but the overarching M1A base is a very reliable, deadly weapon that is more than relevant to this day. The last weapon on our list is another classic bolt action rifle, the Ruger American. This rifle is extremely simple. There is almost nothing flashy about this affordably priced weapon. The standard Ruger American in .308 has a 22-inch barrel, weighs 6.1 pounds, and has a four-round magazine capacity. As you can see, this weapon is lighter than the Browning rifle mentioned above, but also has a longer barrel. The biggest pros are the price, its light weight, the adjustable trigger, and the reliability. The cons of this weapon are that it is not as high quality as some of the other available .308 rifles. It may be slightly less accurate and is not as high strength. Overall, this is a simple weapon that would do great as a hunting rifle or a general shooting rifle. Due to the lighter weight and durability, it is the best 308 hunting rifle for the money. For competition shooting, we would recommend higher quality precision rifles.